Cyclobenzaprine has over 750 known drug interactions. The majority of these interactions are moderate, but there are also some major drug interactions connected to Flexeril. This gives more weight to questions like “What are the side effects of Flexeril?”, “Can you take Flexeril with ibuprofen?” and “What happens when Cyclobenzaprine and alcohol are combined?”. Let’s look at some of the more commonly used medications or drugs and their interactions with Cyclobenzaprine. Can Cyclobenzaprine Be Taken With Alcohol? What Happens When Cyclobenzaprine And Weed Are Taken Together? Is It Advised to Take Cyclobenzaprine And Ibuprofen at the Same Time? Are There Any Interactions Between Flexeril And Tramadol? What Are the Severe Interactions With Flexeril? Are There Any Serious Cyclobenzaprine Interactions? What Moderate Interactions Are There? Cyclobenzaprine and Alcohol are both used as depressants of the nervous system. Each used on its own is an effective means of relaxing or easing the pain, but when used together the effects can be devastating. With the effects of using each of these drugs on their own being a slowing of the mental faculties, lightheadedness and lowered coordination, when both are combined and used together these effects are multiplied. There is also a strong case against using the two together as when Flexeril and alcohol are combined; there is a far higher risk of any related side effects as well as a physiological dependency and Cyclobenzaprine abuse. So any Flexeril alcohol combination can lead to moderate risks. The use of weed or marijuana while on Cyclobenzaprine is another of the Moderate Cyclobenzaprine drug interactions. Using both Cyclobenzaprine and weed together can have a wide range of negative effects. It is advised not to use the two together as it can increase the risk of side effects which include confusion, trouble concentrating and drowsiness. It is highly recommended not to use weed while on Flexeril especially when doing anything requiring focus such as driving or operating heavy machinery. This is due to the adverse effects that this combination of a Cyclobenzaprine high and weed has on motor skills and coordination. Of all the Cyclobenzaprine interactions, the combination of Flexeril and Ibuprofen is one that has proved useful to many. While other drugs have a heavy risk of increasing any known side effects associated with Flexeril, the same cannot be said for Cyclobenzaprine and ibuprofen interactions. 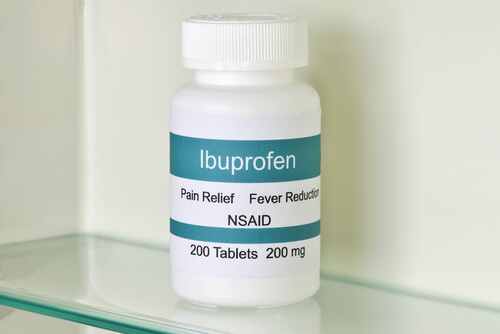 In fact, Ibuprofen has long been used in combination with the correct Flexeril dosage in order to heighten the pain-relieving effects. So the answer to the question “Can you take Ibuprofen with Flexeril?” is quite simple: yes. There are very few risks attached to taking Cyclobenzaprine and Ibuprofen. There is, however, a moderate drug interaction between Cyclobenzaprine and Ibuprofen PM. With Tramadol being one of the heavier types of opioid-based relief for moderately severe pain, it is no wonder that it is ill-advised to take Tramadol and Cyclobenzaprine together. There are some serious negative effects that can occur when such a heavy opioid-based pain medication is used alongside central nervous center depressants. If the use of Tramadol and Flexeril together is absolutely necessary, then it is advised to keep the doses of each drug to a minimum and to watch the patient closely for signs of sedation of respiratory failure. This makes the use of Cyclobenzaprine and Tramadol a serious risk. Cyclobenzaprine and Hydrocodone (Norco) – The use of central nervous center depressants like Flexeril in combination with narcotic pain/ cough medications like Hydrocodone can lead to serious respiratory failure, and in some extreme cases the use of Cyclobenzaprine and Hydrocodone together can be fatal. Oxycodone and Flexeril – Here is another severe drug interaction between Flexeril and Oxycodone. Narcotic pain and cough medications, when used in combination with Cyclobenzaprine, have been known to have serious side effects. Cymbalta (Duloxetine) and Flexeril – This interaction has been known to raise the risk of contracting a rare condition called Serotonin Syndrome which in severe cases can lead to coma or death. Lexapro (Escitalopram) and Flexeril – The use of these drugs together can also lead to a higher risk of the patient contracting Serotonin Syndrome. Flexeril and Xanax (alprazolam) – Using Cyclobenzaprine and Xanax together has been known to greatly increase the risk of side effects which include confusion and low concentration. The use of Flexeril and Xanax together should be avoided wherever possible. Gabapentin and Flexeril – The use of Gabapentin and Flexeril together has been classed as a moderate interaction. While some drugs help increase effectiveness like using Flexeril and Tylenol together, Gabapentin has the ability to increase the side effects that are attached to Cyclobenzaprine. When it comes to the matter drug interactions between Cyclobenzaprine and other drugs, there is a lot to look out for. Some drugs can be used to increase the effectivity of Flexeril; there are other drugs which have massively negative side effects. Note, that some of the interactions are likely to lead to substance addiction. However, the recovery is possible. Contact the drug abuse rehab representatives for assistance. There are many addiction recovery programs available to get rid of the menace of dependence. If you or your loved one have any issues related to the use of Cyclobenzaprine, or would like any further information relating to drug interactions, please do not hesitate to call our 24 hr hotline (888)-459-5511. We have a team of knowledgeable advisors waiting to take your call.